The former South Melbourne Post Office, built in 1912 is a single storey brick building designed in the Beaux-Arts style by Horace J MacKennal, Director of Works, Commonwealth Department of Interior in the post -Federation/pre World War I era. It has red brick walls as a backdrop to the rendered front facade portico with its deeply expressed banded rustication and colonnade of decorated ionic columns and pilasters, the pilasters being close to either side of the porch opening. The cornice line over is broken by a loosely formed pediment. Within the porch, behind the colonnade, is a large semicircular window. The rusticated render finish carries round to the side walls to almost window head level with red brick above. The side windows have rendered cornices over. A domed rendered fleche centrally straddles the ridge of the slated roof. The adjoining 1918 building to the south west of the 1912 building, originally designed and used as a pensions office, is in a sympathetic style. It is of red brick, with rendered quoins and render details around door and window openings and with slate roof over. Above each of the symmetrically arranged vertical window and door openings are circular "porthole" windows. 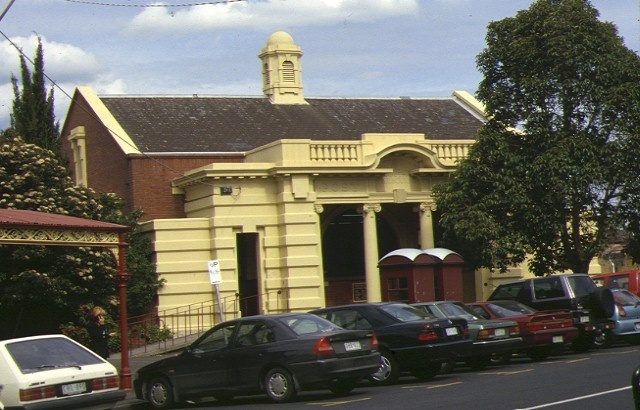 The former South Melbourne Post Office is of architectural significance to the State of Victoria. The 1912 former South Melbourne Post Office is of architectural significance as a rare example of a building designed in the Beaux Arts style, especially at a diminutive scale. It achieves monumentality with the Ionic columns and pilasters of the main entrance porch, its curved pediment and other neo-classical details to the front parapet. The interior of this 1912 building helps to encapsulate the Beaux-Arts style by utilising the prevailing technology to create large spans thereby enabling an impressive open room. It is perhaps the finest and most intact example in a single storey brick post office of the post -Federation/Pre World War I era of the work of the Commonwealth Department of Works, which took over the design of post offices in all States after Federation in 1901. The 1918 addition to the south-west, while not of significance if taken in isolation, is of note as a very sympathetic addition. 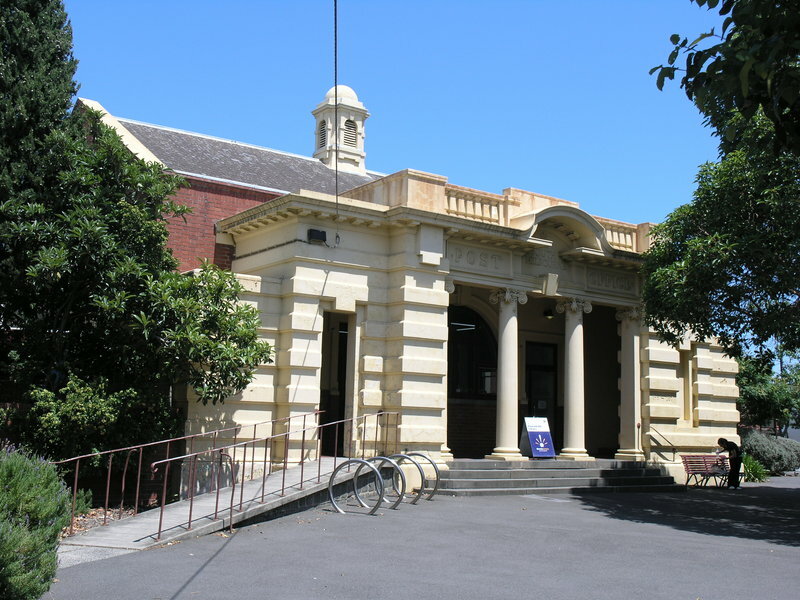 The former South Melbourne Post Office is also of significance for its contribution to the Emerald Hill precinct, being located directly opposite the Neo-classical South Melbourne Town Hall in Bank Street. Former South Melbourne Post Office, 199-207 Bank Street, South Melbourne, City of Port Phillip. 1. All of the building known as former South Melbourne Post Office marked B1 on Diagram Number 601591 held by the Executive Director. 2. 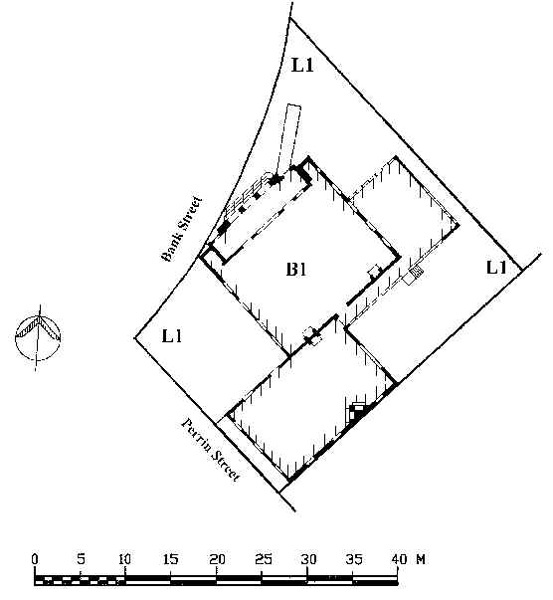 All of the land marked L1 on Diagram Number 601591, held by the Executive Director being all of the land described in Certificate of Title Volume 9538 Folio 960. The first South Melbourne Post Office, originally known as the Emerald Hill Post Office and Telegraph Office until 1883, and which operated from what is now 319-321 Clarendon Street, opened for business on 03 October 1857. It later moved to within the south-east corner of the newly completed Town Hall. From its operations out of the Town Hall, the next 20 years or so saw a tremendous growth in postal and telegraph services. The contract for the former South Melbourne Post Office was let in late 1911 and the building opened for service in 1913. The adjoining building to the south west of the 1912 building was erected some five years later in 1918 for use as a pensions office. About the 1960s-70s (precise date not known) an unsympathetic flat roof single storey structure, with a single room and toilet facilities, was constructed to the east of the 1912 building with a connecting enclosed corridor wrapping around the south side and connecting with the 1918 structure. The 1912 building was designed by Horace J. MacKennal, Director of Works, Department of Interior. The Australia Post Survey of Historic Properties in Victoria by G. S. Warmington and A. C. Ward, dated August 1990, identified four Post Office buildings as being of the “Beaux Arts” style. 1. Casterton (1907-10) Not recorded on database. Two storey, red brick with overpainted stuccoed dressings. 2. Brunswick (1909) Not recorded on database. Large two storey brick Edwardian building with two entry porches and a central projection. 3. South Melbourne (1912) As described above. 4. Melbourne Mail Exchange (1915-17) HBR881. Note Architects Horace J. MacKennel, the same architect as for former South Melbourne Post Office, and John Smith Murdoch, a recognised “Beaux Arts” practitioner. Five storey red brick with three storey high Ionic columns. * Demolition or removal (but not replacement or additions) to flat roofed extensions to east and south of 1912 and 1918 built buildings. * Minor repairs and maintenance which replace like with like. * Removal of extraneous items such as air conditioners, pipe work, ducting, wiring, antennae, aerials etc, and making good. * Installation or repair of damp-proofing by either injection method or grouted pocket method. * Repair or replacement of boundary fences and gates with similar. * Installation, removal or replacement of garden watering systems, provided the installation or replacement of the watering system/s do/does not cause short or long term moisture problems to the building or coal house. * Laying, removal or replacement of paving in the courtyard. * Repair, removal or replacement of existing garden structures. * Interior of flat roofed extensions provided such works do not damage 1912 and 1918 buildings' fabric. * Painting of previously painted walls and ceilings provided that preparation or painting does not remove evidence of the original paint or other decorative scheme. * Removal of paint from originally unpainted or oiled joinery, doors, architraves, skirtings and decorative strapping. * Repair of plasterwork provided that all new work matches good adjacent work in style, detail and finish. * Installation, removal or replacement of carpets and/or flexible floor coverings, eg vinyl. * Installation, removal or replacement of curtain track, rods, blinds and other window dressings. * Installation, removal or replacement of hooks, nails and other devices for the hanging of mirrors, paintings and other wall mounted artworks. * Refurbishment of bathrooms, toilets and or en suites including removal, installation or replacement of sanitary fixtures and associated piping, mirrors, wall and floor coverings. * Installation, removal or replacement of kitchen benches and fixtures including sinks, stoves, ovens, refrigerators, dishwashers etc and associated plumbing and wiring. * Installation, removal or replacement of ducted, hydronic or concealed radiant type heating provided that the installation does not damage existing skirtings and architraves and provided that the location of the heating unit is concealed from view. * Installation, removal or replacement of electrical wiring provided that all new wiring is fully concealed and any original light switches, pull cords, push buttons or power outlets are retained in-situ. Note: if wiring original to the place was carried in timber conduits then the conduits should remain in-situ. * Installation, removal or replacement of bulk insulation in the roof space. * Installation, removal or replacement of smoke detectors. It is the purpose of the permit exemptions to allow works to be carried out within the flat roofed extensions built to the east and south of the original 1912 post office and 1918 pensions office buildings without the need to obtain a Heritage Victoria permit.